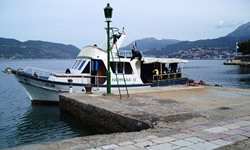 A unique holiday in the beautiful unspoilt country of Montenegro. 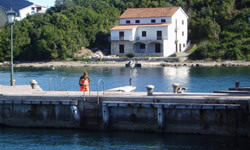 We have just opened a dive centre on the Lucstia Peninsular enjoying the warm waters of the adriatic. This is the first dive centre run by English divers, for divers we are totally self contained we have our own Rib, compressor and accommodation. We accompany you on your holiday so we can make it a memorable experience. The diving is in deep clear waters and consists of untouched wrecks both boat and airplane also a great dive is the submarine chambers deep into the coastal rock face and the blue holes cave diving off Ros'e. We have run a few trips already and the feedback is great. One diver said the diving was better than the red sea it is so unique it is not just the fish but the amazing untouched wrecks and coast line it is so different from any other holiday I have had.